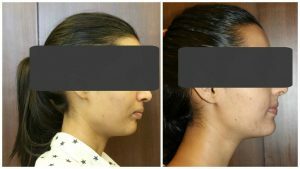 ORTHODONTIST IN DELHI/WHAT IS ORTHODONTICS / BRACES TREATMENT? We at Orion Dental Clinic located in Greater Kailash 1, New Delhi provides an in-house doctor/Orthodontist in Delhi for dental braces. We are a Specialized clinic for Dental Braces in Delhi. Orthodontics is that branch of Dentistry in which crooked, irregular, protruding teeth & jaws are corrected with the help of various fixed and/or removable appliances so that your smile looks better. 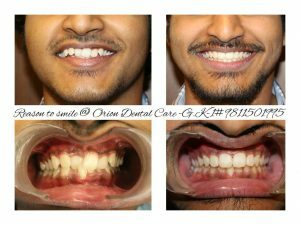 WHAT ARE THE TYPE OF BRACES AVAILABLE AT ORION? WHY SHOULD I GET ORTHODONTIC TREATMENT DONE? Beauty, confidence & presentation are the three important pillars for overall success. Having irregular & protruding teeth is not attractive and in today’s day and age having a perfect smile reflects upon your overall personality and gives you that extra edge over your contemporaries. It becomes impossible to clean irregular & crooked teeth properly, as the result of which gums get infected and after sometimes teeth become loose & eventually they shed off. In some cases due to irregular teeth, patients are unable to chew their food properly which may lead to many gastric & digestive problems. These patients are more prone to associated diseases such as tonsillitis and sinusitis. IS THIS TREATMENT COSTLY & LENGTHY? At Orion Orthodontist in Delhi, the duration and the cost of dental treatment in Delhi may vary depending upon the complexity and the developmental stage of the patient. Usually, it varies between 6 months to 1 1/2 years. The cost of dental treatment in Delhi also varies between Rs 25,000 to 40,000 depending upon the technique and the complexity of the treatment. The cost of dental treatment would increase for lingual or invisible braces or Invisalign treatment. The Orthodontist in Delhi at Orion also decides the cost of the treatment based on the complexity of the case. The fees at Orion Orthodontist Delhi include material cost (i.e the cost of the braces) as well as the professional charges for the knowledge, experience, and skill of the orthodontist. Considering the long-term, positive, physical and psychological benefits of orthodontic treatment whatever spent on orthodontic treatment should be considered as a sound investment. Besides for best Orthodontic treatment in Delhi you only have a pay a fraction of the cost of what it would cost elsewhere in the world. WHAT IS THE RIGHT AGE FOR STARTING ORTHODONTIC TREATMENT? Usually, the age between 7-14 years is considered best for the orthodontic treatment in Delhi at Orion Dental Care, because of the maximum growth rate of jaw & skull bones. 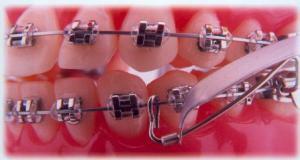 However, if Orthodontist In Delhi is consulted at an earlier age, it might be possible to avoid fixed braces at all. 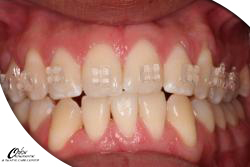 So the best orthodontic treatment time is when you see this problem or anticipate it. IS THIS TREATMENT ONLY FOR CHILDREN & ADOLESCENTS? 20-25% of patients having fixed braces(Orthodontic Treatment) from our clinic are adults. Most of the people could not get proper braces treatment at their youth either due to the unawareness of their parents or other financial reasons. There is no age limit for orthodontic treatment, the Orthodontist at the Delhi center, Dr. Anupam Sinha is treating many such adult patients provided that the teeth, gums & jaw bones are in healthy state and patient is free from other systemic disorders such as diabetes & arthritis. DOES THIS ORTHODONTIC TREATMENT MAKE THE TEETH WEAK, LOOSE OR MOBILE? This is an absolute misconception. In fact, after reaching in their ideal position they become stronger, load-bearing & long lasting. The Orthodontist at Delhi Orion Orthodontic & Dental Care Centre, take utmost care that the health of the teeth is never compromised due to any undue application of forces. 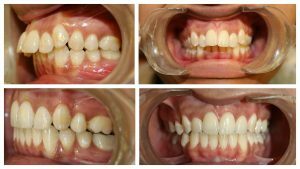 DOES THIS DENTAL TREATMENT ALWAYS NEED TEETH REMOVAL /EXTRACTION? 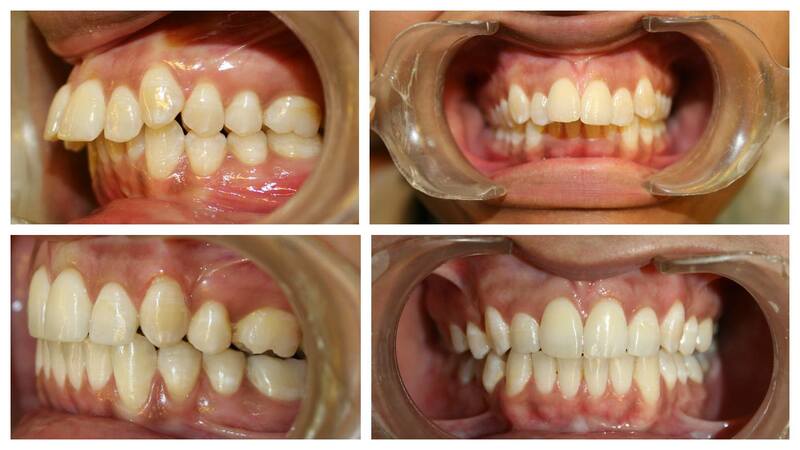 It is not necessary to extract teeth in all cases, particularly if treatment is started at an early stage. Except in some cases, a majority of patients are treated without losing any tooth. 1. In the first visit the Dr. Anupam Sinha, our in-house Orthodontist takes a look at you to inform you about the treatment strategy, cost and treatment duration. 2. In the second appointment, your treatment records i.e Impressions Photos and X-rays would be taken. 3. These records are then sent to a lab where the customized lingual braces are fabricated and the prescription for the brackets is done. 4. 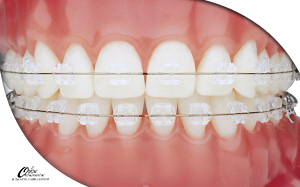 The active treatment is started by fixing the brackets and wires and monthly appointments commence. DOES THIS MAKE A PERSON UNATTRACTIVE? Not at all, after all, they are the one, which is beautifying your smile. The conventional Orthodontic braces may give a steel/metallic look to your teeth for the time the treatment is carried on. However, latest, tooth colored (eg 3M Clarity, InVu brackets) cost slightly more but are almost invisible. 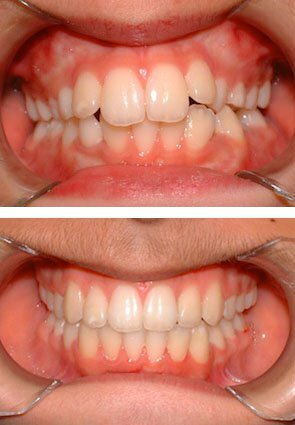 DO THE TEETH JUMBLE UP AFTER THE REMOVAL OF THE BRACES? The period between 6 to 9 months after the removal of fixed braces is very crucial for determining the success of the treatment & all the hard work done by your Orthodontist on your teeth. If in this period retention plates given by the Orthodontist are regularly & properly used, teeth will never go back to the previous position again. Missed appointments with the Orthodontist delay treatment progress. Loose or broken appliances may cause a delay in progress. Please call the orthodontic clinic in Delhi to inform us of loose or broken appliances. 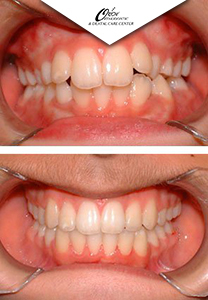 Do not wait until your next appointment with the Orthodontist in Delhi. Poor brushing habits can result in gum disease and scarring of the tooth enamel. Remember to continue with regular dental examinations and cleanings at your Orthodontic clinic. We are located very centrally at GK 1, in South Delhi Orthodontic Clinic which is approachable by the Delhi Metro as well. Orthodontic treatment requires a commitment from the patient, parents (in case of treatment in children) and the doctor for best results of Dental Treatment in Delhi. ©2015 Orion Orthodontic & Dental Care centre.